The image of celebrity gamblers is one of big money, bright lights and glamorous surroundings. While many movie stars, musicians and athletes engage in card games or sports betting as a way to unwind from their stressful lives, many more casino players have actually made their livelihood from games of chance. In recent years, many poker players have made themselves famous from their appearances on televised tournaments. 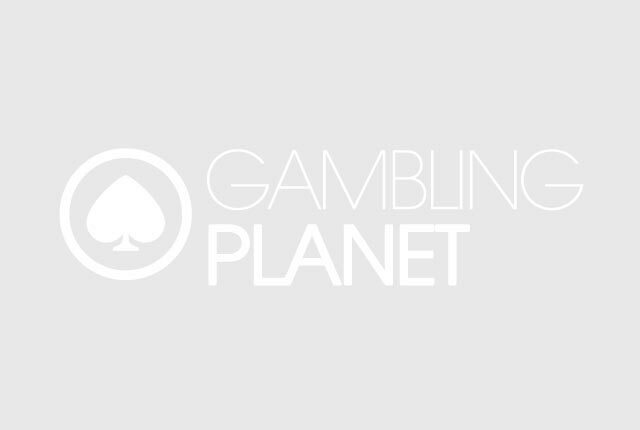 Our online guide to famous gamblers looks back through the history of modern gaming and highlights some of the brightest luminaries. "Wild Bill" Hickok was a legend in the Wild West. He was a gunslinger, a lawman, and one of the best poker players of his day. He enjoyed all types of card games, including faro, blackjack and, of course, poker. His most famous poker hand, unfortunately, was his last. He was playing a game of Five-Card Stud in the No. 10 Saloon in Deadwood, South Dakota, with his back to the door. A man who had a grudge against Hickok entered the bar and shot him in the back before he could turn around. When Hickok fell over the table, his cards fell from his hands: two pair, aces and eights, now known as the "Dead Man's Hand". After the 1919 baseball season, players engaged in sports betting were wagering big money on the favored Chicago White Sox to beat the underdog Cincinnati Reds in the World Series. Arnold Rothstein, a New York businessman and gambler, knew that players who bet on the Reds could win big - but how could the Reds beat the powerful White Sox? According to reports, Rothstein paid several White Sox players to "throw" the World Series. The players, disgruntled with penny-pinching owner Charles Comiskey, took the money and agreed to allow the Reds to win. Although Rothstein was cleared by a grand jury and the players did not face any criminal charges, the "Black Sox Scandal" nearly killed baseball in America. Frank "Lefty" Rosenthal was a sports betting expert working for the Mafia in Chicago during the 1960s. When organized crime controlled many of the Las Vegas casinos, the crime bosses sent Rosenthal to run the Stardust casino on the Strip. During his time there, he became one of the first celebrity gamblers. He revolutionized sports betting by bringing the sports book inside the casino. 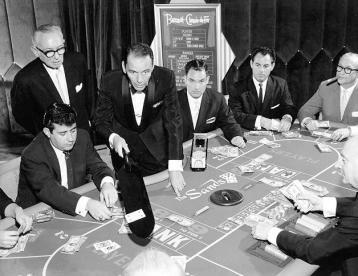 He also developed systems to track the activities of casino players in order to keep them coming back - and losing - at the tables. His expertise covered everything from the various card games and other table games to security and surveillance. In the movie "Casino", the character of Sam "Ace" Rothstein (played by Robert DeNiro) was based on Rosenthal's years in Las Vegas. While other researchers and casino players had experimented with the idea of Blackjack card counting, the infamous team of casino players from the Massachusetts Institute of Technology pushed the concept to its limits - and took down millions of dollars from the casinos. The structure of the card counting team involved a "small fish" player doing the actual counting. When the count favored the players, the "small fish" would signal the "big player" to place big bets and win. Their expertise in card counting soon earned the attention of casino authorities, which banned them from the tables. The exploits of the card counting team were chronicled in a best-selling book and in the 2008 movie "21". Another of the early celebrity gamblers was Thomas Preston, better known as "Amarillo Slim". Preston started out as a pool hustler, traveling across America and winning huge sums during his teenage years. He would also travel across Texas to play in various poker games with fellow poker players "Puggy" Pearson and Doyle Brunson. He won the Main Event tournament at the 1972 World Series of Poker, which he parlayed into several appearances on television talk shows and a best-selling autobiography, "Amarillo Slim in a World Full of Fat People". Doyle "Texas Dolly" Brunson has become one of the most famous poker players in the history of the game. His back-to-back wins at the 1976 and 1977 World Series of Poker have put him among the most visible celebrity gamblers in Las Vegas. His ten WSOP championship bracelets, along with his World Poker Tour wins, his Poker Hall of Fame membership, and his best-selling poker books, have placed him in a class by himself. Many people, especially regular casino players, believe that nothing can be gained in life without a measure of risk. These celebrity gamblers are true examples of that belief. While the players listed here did not always win, they all showed fearlessness and a sense of adventure that made their lives worth living.